Global mortality rates for children under five have fallen by more than half since 1990, when the Millennium Development Goals for addressing effects of poverty were established, a U.N. interagency group reported Wednesday. Despite the huge success, the group's report said most countries still missed the MDG target of reducing child mortality by two-thirds. In 1990, 12.7 million children under five died from largely preventable diseases. The U.N. said that fewer than 6 million children die yearly now, or 16,000 per day. While this is significant progress, health agencies said much more needs to be done to save lives. The report noted that children are most at risk during the first month of life, when 45 percent of all under-5 deaths happen. It said 1 million infants die the day they are born, and nearly 2 million die in the first week of life. 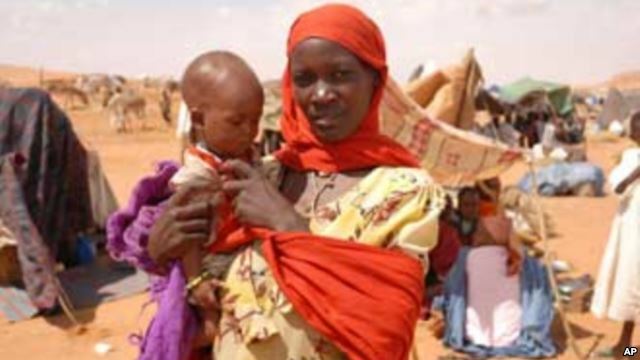 Flavia Bustreo, a senior World Health Organization official, told VOA that 10 sub-Saharan African countries have met the MDG target of cutting under-5 child mortality rates by two-thirds. Nevertheless, she said, Africa continues to lag behind the rest of the world. Bustreo said the wealth of a country has less to do with bringing down child mortality than its political will and actions. She noted that Angola is a middle-income country, yet has the highest under-5 child mortality rate in the world because it has not invested in child health. She added that one of the poorest countries in the world, Ethiopia, has cut child deaths by two-thirds by prioritizing child health. The report said about 62 of the world’s countries have met the MDG target to reduce under-5 mortality by two-thirds. Another 74 countries have cut deaths by at least half. It noted that the leading causes of child mortality include premature birth, pneumonia, complications during labor and delivery, diarrhea, sepsis and malaria.